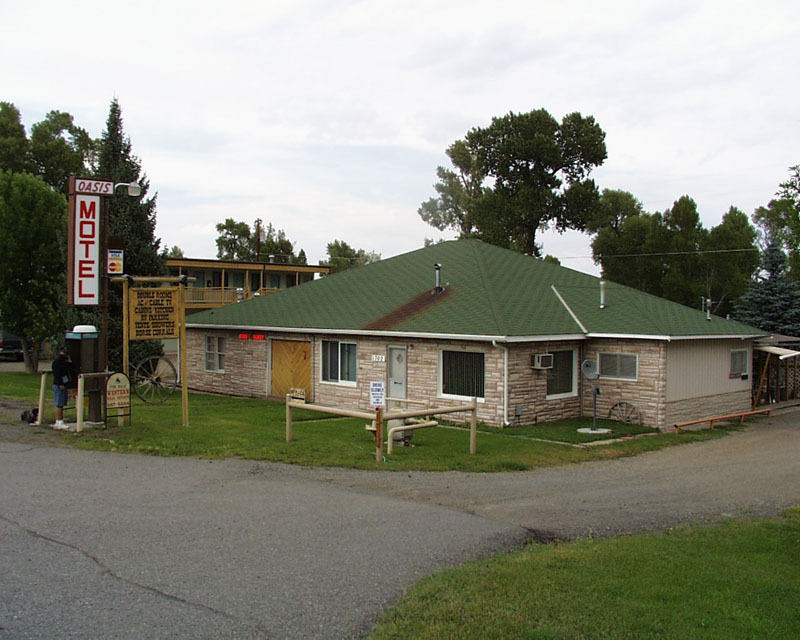 The Oasis Motel & RV Park is located on the Greybull River, just a short walk to two restaurants and saloons. Pets are welcome for a small fee. The Oasis features high speed wireless internet access. All rooms and cabins have cable T.V. with four movie channels. The deluxe rooms have air conditioning. Rooms offer two double beds, a double and queen or a king, full bath, refrigerator and telephone. Cabins with kitchenettes offer a full bath, telephone and cable TV with four movie channels. There are eleven pull-through RV sites with full hookups, 30 and 50 amp service. There is also an area for self contained units and tent campers, as well as horse corrals. Picnic tables, BBQ grills, laundry facility, ice machine, microwave, toaster oven and shower facilities are available for campers. Open year-round. Pets welcome.